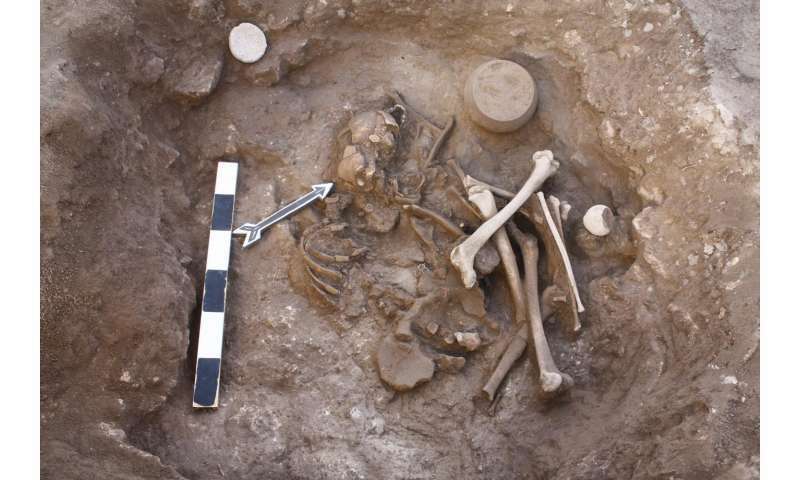 "We analyzed many ancient and modern mitochondrial genomes in parts of the South Caucasus and found genetic continuity for at least 8,000 years," said Ashot Margaryan and Morten E. Allentoft from Centre for GeoGenetics at the Natural History Museum of Denmark. "In other words, we could not detect any changes to the female gene pool over this very long time frame. This is highly interesting because this region has experienced multiple cultural shifts over the same time period, but these changes do not appear to have had a genetic impact—at least not on the female population." The researchers were interested to study this part of the world because of its position as a cultural crossroads since ancient times. It's also known as an important area for the potential origin and spread of Indo-European languages. 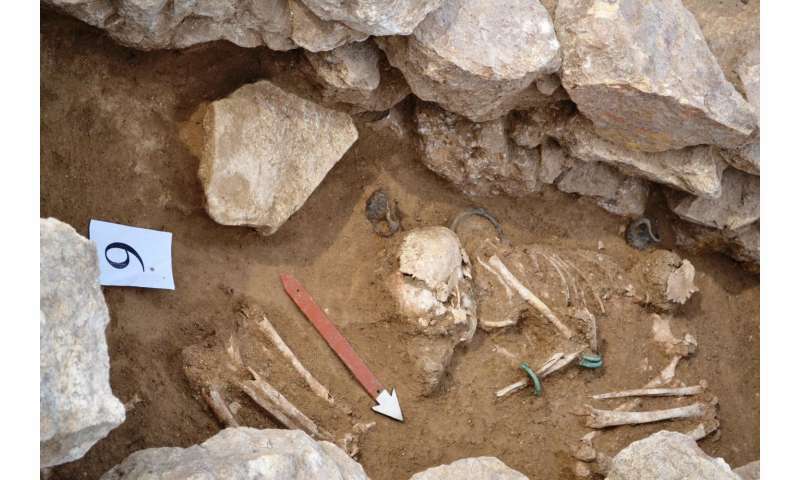 To shed light on the maternal genetic history of the region, the researchers analyzed the complete mitochondrial genomes of 52 ancient skeletons from present-day Armenia and Artsakh, an unrecognized republic bordering Armenia and Azerbaijan. Those specimens span 7,800 years of history. Allentoft's team combined this new data with 206 mitochondrial genomes of modern Armenians and previously published data representing more than 480 individuals from seven neighboring populations.